Home » Articles » How to Undelte Deleted Documents Easily? Did you have deleted your word document in accidate? I think it is "Yes", for word documents are so important in our day to day life that our work can hardly be carried on without them. I believe we all have been bothered by a "document cannot be found" issue. What will you do if your documents are lost? The tips below can help you recover deleted documents. If you delete a word document, it has been moved to the Recycle Bin. You can easily restore it from the Recycle Bin without any trouble. But if you've emptied your Recycle Bin ,you cannot find it by yourself any more. You need the help of a document recovery tool. So it is so important and helpful to search the deleted documents in the Recycle Bin after you delete the important word files by mistake. Tip 2 How to recover documents if you've emptied the Recycle Bin? There is still a chance for you to undelete word documents if you have emptied the Recycle Bin after deleting the documents. When the word documents are deleted from the computer, your computer will think they disappeared. However the information is not immediately destroyed. The part of hard disk which used to store your word document stays untouched. If you use a document recovery program before Windows uses that part of the hard drive to write a new word file, you can recover them without problem. How to recover word documents with Wiserecovery? 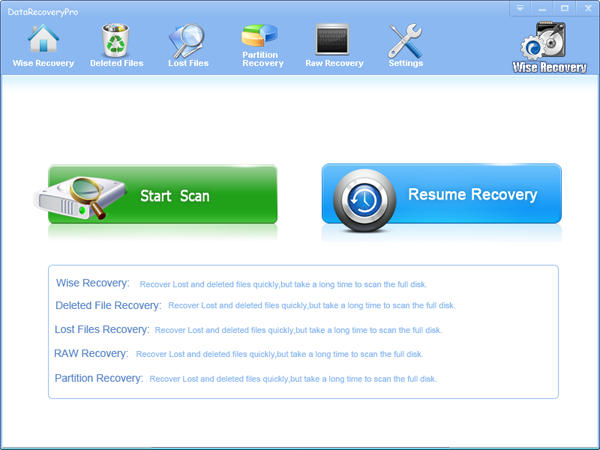 Wiserecovery is a powerful office recovery software that can help you to undelete files, even if you've emptied your recycle bin. It can also recover lost files after a system crash and the files damaged by mistake under Win XP, Win7, Win vista, Win 2008 and Win 2003.